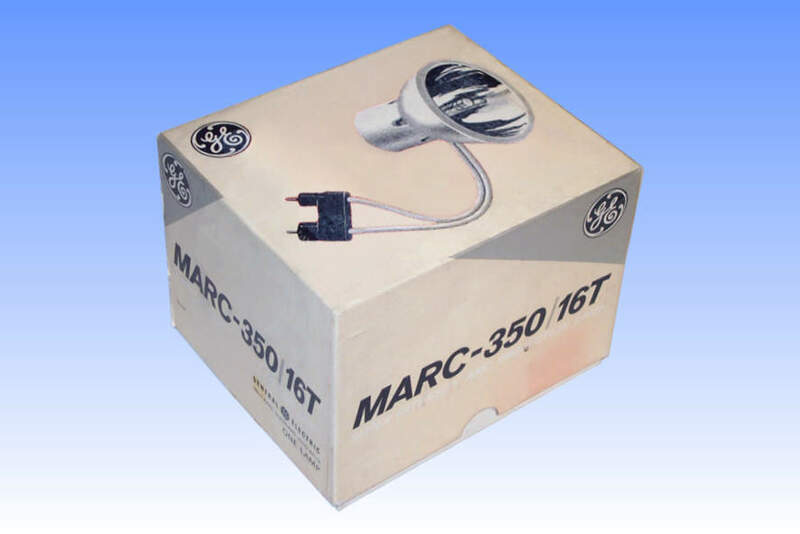 The GE family of "Marc" and "Gemini" lamps are short arc metal halide products, which were developed during the 1970's specifically for the projection of 16mm films. They are characterised by the very short arc gap, made possible by operating the lamp at very much higher pressures than would normally be encountered - typically in excess of 50 atmospheres. All types are intended for DC operation, hence the asymmetric appearance of the arc tube to account for the different electrode sizes. The arc tube is mounted axially within a dichroic coated reflector. 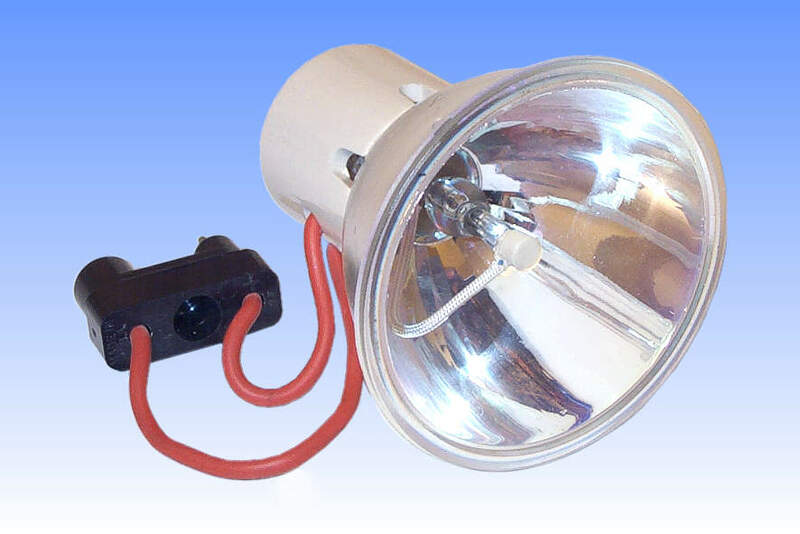 This delivers a cool beam of light forward, while allowing some 60% of the heat to escape out the rear of the lamp. Electrical connection is by means of a special 2-pin plug, asymmetrically designed to ensure that the correct arc tube polarity is maintained.